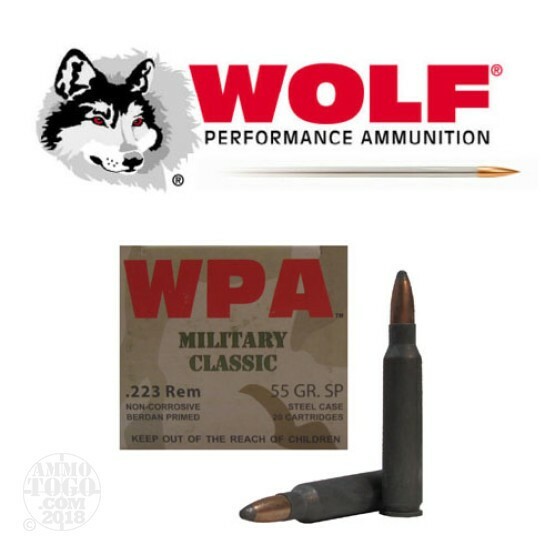 This is .223 Wolf Performance Ammunition Military Classic 55gr. Soft Point Ammo. This ammo is steel cased, berdan primed and 100% non-corrosive. It has the polymer coating on the steel case to eliminate any lacquer build up. This ammo is packed in 20rd. boxes, 500rds. per case.